Nintendo have shared additional details about VR content in Super Mario Odyssey. There will be a Theatre Mode, allowing players to watch some of the cutscenes in VR (such as the opening cutscene). Unfortunately, it looks like only a selection will be viewable, not all of them. 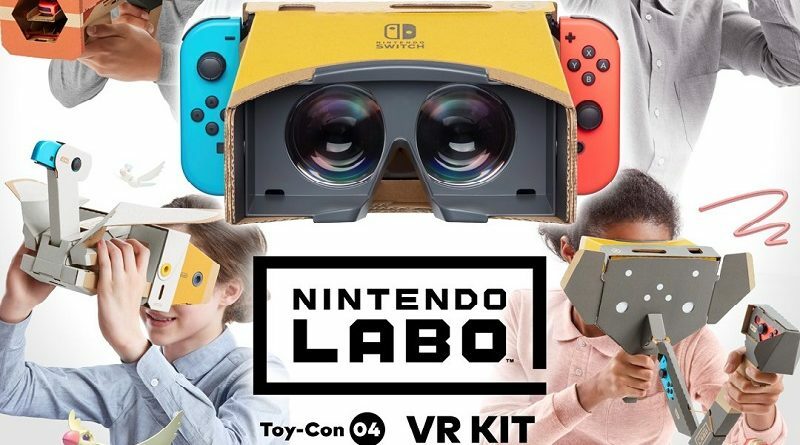 The Software update adding support for the Toy-Con VR Goggle will be released on April 25th/26th. It’s been a little while since the last one, but yesterday, Nintendo shared the latest episode of their webshow featuring Yoiko (the comedy duo Shinya Arino of Game Center CX fame is part of). This time, two indie games are showcased: Ultimate Chicken Horse and Stikbold! A Dodgeball Adventure! By the way, this is Part 1 of this new series, entirely dedicated to indie games on Nintendo Switch. Unfortunately, we don’t know when the next episode will be released!